Connect to Jen and Kellee’s meme to share all of your great reads – from picture books to young adult selections. This is such a wonderful way to learn about a variety of new titles and to ensure that those To Be Read piles are very tall and very tippy. I think I have book stacks in about six different places in my classroom and my house. Sigh. This will be week two where I haven’t completed a novel. Hoping this is not not indicative of my school year and instead just a result of a busy back to school season! It also doesn’t help that the book I have my nose in is 539 pages long (Bitterblue by Kristin Cashore) Although, I am loving every page so happy that there are more than 500 to savour! So for this It’s Monday! What are you reading? post I am going to highlight ten picture books (both fiction and non) that I read this week (some shared as class read alouds). 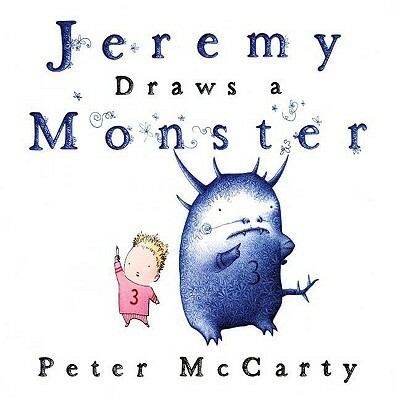 Jeremy Draws a Monster by Peter McCarty. 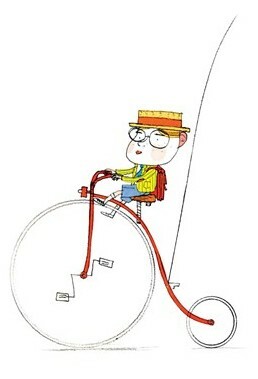 This is an interesting little story told as much through the illustrations as through text. Jeremy is too shy to venture out and play and when he draws a monster and it comes to life, it turns out to be an annoying creature he wishes he could just erase. A very clever ending does resolve the monster issue but along the way some interesting themes are explored: imagination, the shy child, taking risks, etc. Beautifully illustrated by McCarty. 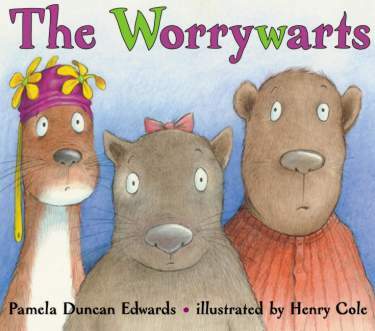 The Worrywarts written by Pamela Duncan Edwards and illustated by Henry Cole. I used this book to launch learning about making connections. Read more in this post. If you are reading this aloud, warm up! All of those W’s will exhaust your lips as you read! Fantastic alliteration from Edwards as usual. 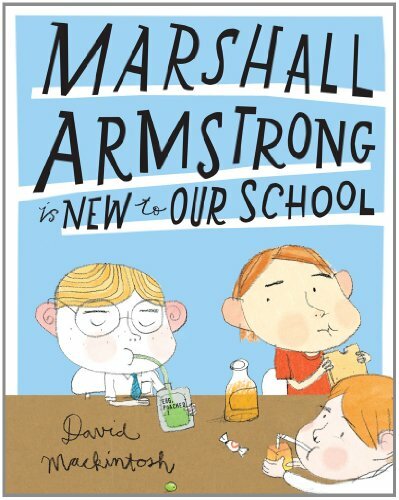 Marshall Armstrong is New to our School by David Mackintosh I shared this book with my new class as a morning read aloud. We talked about how in a sense we are all new when we start a new school year even if we are not new to the school. This book helped us understand to reserve judgement with people “new” to us, to not turn away from someone who is different and to celebrate the unique aspects about us all. The students LOVED the illustrations and keenly studied all of the details on each page. They were particularly intrigued with Marshall’s “space” food. There is a bit of a book obsession going on in our room with Mo Willems right now! 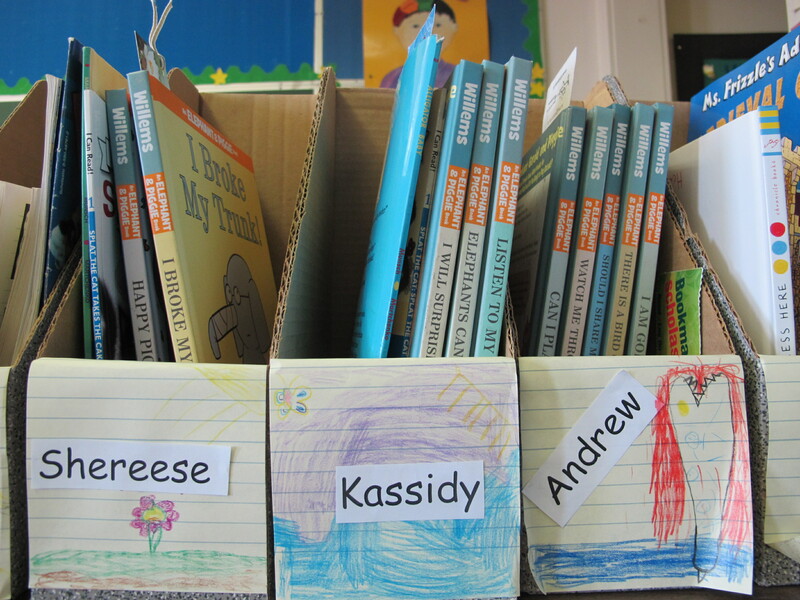 Check out how book boxes looked on day one of setting them up. Elephant and Piggie books were gathered by the handful! We have, as a class, come up with a new rule: no more than one Elephant and Piggie book in your box so that there is access to all. Oh how we adore these characters! I still come across titles that I haven’t read yet. I read When We are in a Book by Mo Willems aloud when requested by numerous students. And then I read it again because, well, if you read carefully, it does request the reader to do just that! 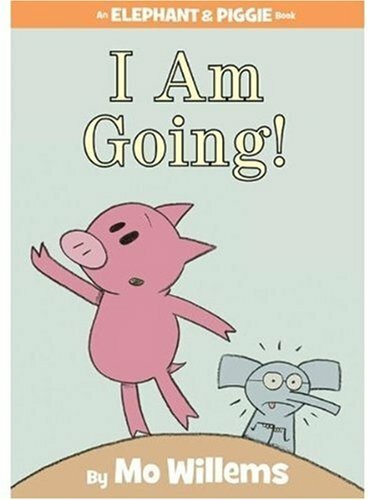 I am Going by Mo Willems was another title I read this week and then read over and over with a keen student who wanted to read with me, each of us being a character (Gerald or Piggie). 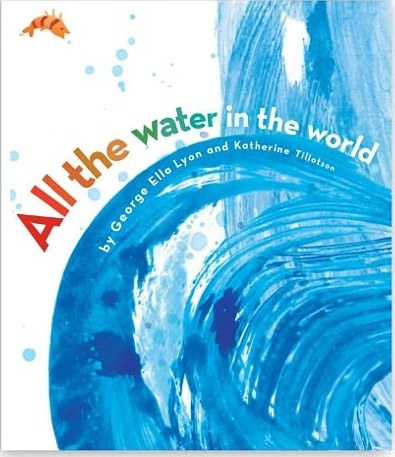 All the Water in the World by George Ella Lyon and illustrated by Katherine Tillotson Lyrical language. Stunning art. Superb images. Wow. And . . . a fantastic book to teach the water cycle. 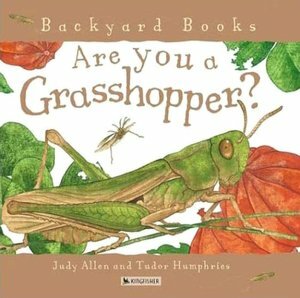 Are you a Grasshopper? by Judy Allen and Tudor Humphries I love these Are you a ____________? books and just added this title to my class collection. I have a real admiration for grasshoppers. For the last three summers we have walked through a water starved grassy bluff on Galiano Island. There is never anyone else there and it is vey quiet except for the grasshoppers. They are hidden in the tall dry foliage and the air absolutely vibrates with all of their noise. We always talk with our children about how this noise is produced and I love how it is explained and illustrated in this book. What Comes Next? 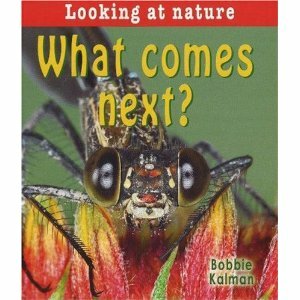 by Bobbie Kalman I have continued to add Bobbie Kalman titles to my non-fiction collection. 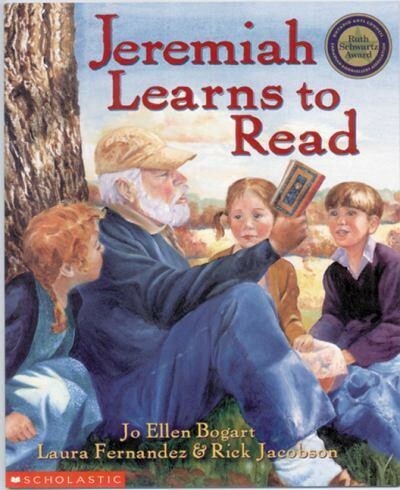 This title begs to be interacted with, perfect for buddy reading. Full colour photographs illustrate a variety of nature concepts. 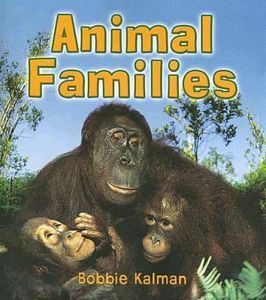 Animal Families by Bobbie Kalman This is another wonderful non-fiction title with many colourful photographs of animals and their families. Love the pages that explain how seahorse mothers transfer the eggs to the father seahorse. So interesting! Really hoping next week will give me more time to read for big chunks of time so that I can finish Bitterblue and tackle other titles sitting in a stack just waiting for me. Next book? I think it will be Code Name Verity. This entry was posted in It's Monday What are you reading? and tagged Bobbie Kalman, David Mackintosh, favourite illustrators, George Ella Lyon, Henry Cole, humour, Jo Ellen Bogart, Judy Allen, Katherine Tillotson, Laura Fernandez, Mo Willems, Monday reads, non-fiction, Pamela Duncan Edwards, Peter McCarty, picture books, Rick Jacobson, Tudor Humphries by carriegelson. Bookmark the permalink. Thanks Myra! The Elephant and Piggie titles are addictive. Powerful little books all the better to read aloud and share. Children in my class read and reread these books. They are fantastic to use to teach inferring from pictures as well (for those younger readers). Let me know what you think if you read any of them! I understand about the Bitter Blue-I have several books going & can’t seem to make any headway in them, time, time! I love the idea of that first book “Jeremy Draws A Monster”-would be so good to help support kids who are shy in starting something. 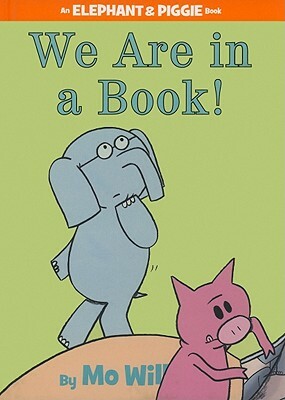 And love the Elephant & Piggie books-so gleeful. Thanks for telling about all of these-always good to know about new ideas! Time, time, time, is right. Just not enough of it. One day a week should be reading day. If I were in charge of the world . . . I love that you included some fabulous non-fiction in your list! We read a lot of non-fiction in our house. Animal families looks very interesting, I bet kids love it. Also, I have to find All the Water in the World. The front cover alone is beautiful, plus it teaches the water cycle? Excellent! On the other hand, your comment about warming up before reading aloud The WorryWarts really had me laughing. I can relate as some read alouds take a lot our of you! I bet it would be great for teaching alliteration! Books with high degrees of alliteration are exhausting for our mouth! Fun though! George Ella Lyon writes such lovely books. Have you read any of her other titles? I love Book. Elephant and Piggie are rock stars in our classroom! I love the excitement about books they generate. And thank for the reading time wishes. Hoping to get to bed early tonight and read! It is really so much harder to read now, so I completely understand. I love the PBs you listed, especially ALL THE WATER IN THE WORLD. I heard this read aloud by George Ella herself at a conference. She is amazing in person. Similar to your Bitterblue story, I have had Divergent on my currently reading list for a while now. Need to finish that! Happy reading, and thanks for a great list!